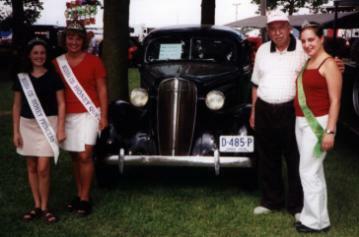 Cars too... thanks to people like long-time-member Jerry Wager! You walk by a tractor and you think you hear it talk to you. Are you going crazy? Maybe... or it might just be the antics of Dallas Few using some radio trickery! The fair grounds are on the southwest side of Medina. The best gates are on Smith Road. Smith Road runs parallel with Route 18 and is one block south of Route 18. 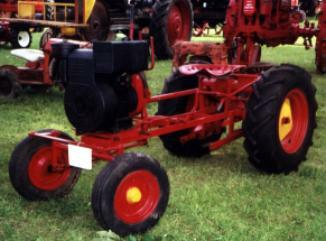 The 2006 show featured Silver King equipment. 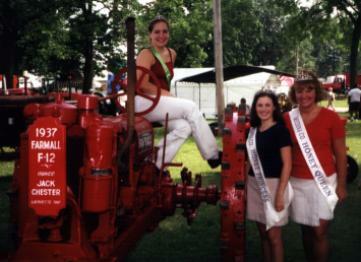 Also featured: Grand Parade, Vintage Car Show, Antique Tractor Pulls, Working Blacksmith and Potter, Good Food, Contests, Games, Pony Rides, the Historic Wine Celler, Old Fashioned Saw Mill and Much, Mush More. The club provided the meat and beverages. Participants brought a covered dish and table service. Directions to the River Styx County Park: Take Route 57 South out of Medina or North out of Wadsworth until you are at the four way stop at downtown River Styx. Route 57 turns in River Styx so go straight if you are coming from Medina or turn left if you are coming from Wadsworth. You will then be on River Styx Road. Go about 1/2 mile south and you should see the park entrance on the West side of the road. Participants brought a covered dish, table service, a good appetite and enjoyed some conversation. The club supplied the meat and beverages. We have a lot of good shows in our area. 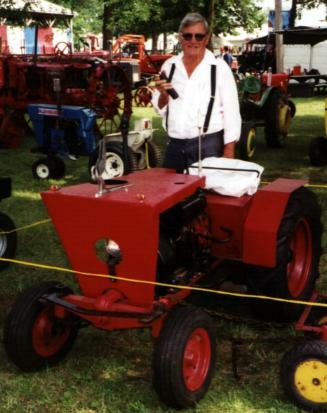 Kevin Williard, a collector of antique tractors and engines particularly enjoys lawn and garden equipment. He has been known to take an impressive display of Simplicity equipment to local shows. All rights reserved. EMAN Inc.